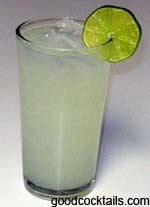 Dissolve the sugar and lime juice in a glass. Fill the glass with ice and water. Stir well and enjoy.